Splatter rock gurus Gwar stopped by Late Night With Jimmy Fallon last night (October 28) and performed new song "Zombies, March!" You can check out the video now. "Zombies, March!" is the first single from their new album, Bloody Pit Of Horror, which is set for release on November 9 via Metal Blade Records. It is the follow-up to their 2009 effort, Lust in Space. 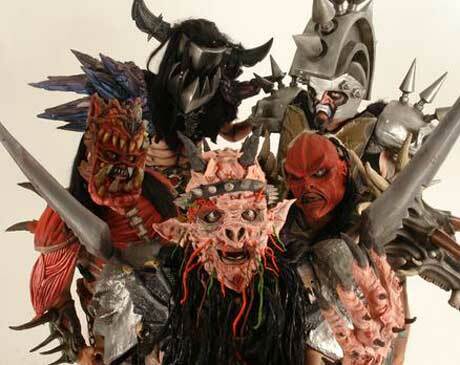 Watch Gwar perform "Zombies, March!" below.